For healthcare providers in solo practice settings, the migration to an electronic medical record system can be particularly difficult. Acting as the sole proprietor of a practice allows for greater autonomy, but also makes it difficult to find available capital. Such capital is often needed to adopt a proper EHR system, and this strain on resources forms as the main reason why solo practices have lagged behind in healthcare IT adoption rates. Over the past several years, surveys have painted a somewhat grim picture for solo practices in terms of EHR adoption. 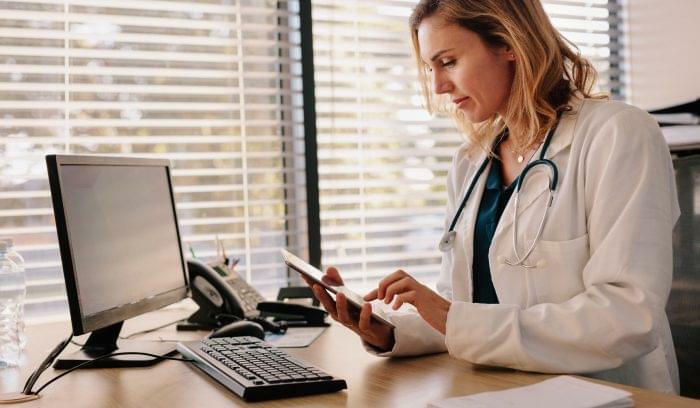 A 2013 survey by Deloitte indicated that only 31 percent of solo practices had an EHR that met Meaningful Use criteria, and the Commonwealth Foundation noted that overall EHR adoption by solo practices lagged at around 50 percent. However, a study released this year by SK&A indicated a jump in solo practice adoption. If solo practice adoption is increasing, it’s likely because of the increased availability of cloud-based EHR platforms. Cloud-based systems reduce the amount of upfront cost practices have to shoulder to set up a dedicated server. Choosing this type of deployment model also eliminates the need to bring a dedicated IT staff member into the practice. In a 2012 interview, PhsyBisTech editor Frank Irving wrote that the cost savings of choosing a cloud-based EHR could be as high as $4,400. 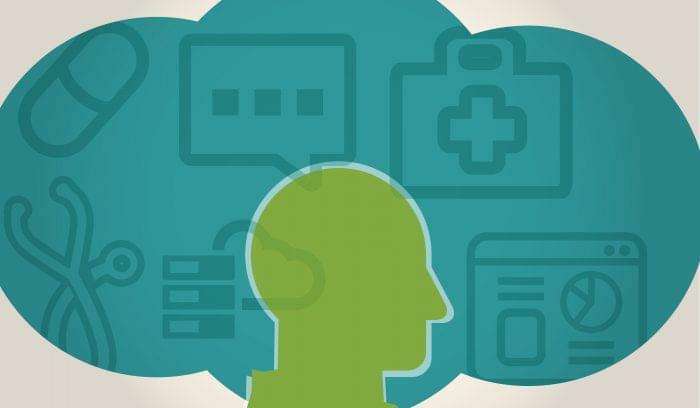 The indication is clear: EHRs hosted in the cloud could be the way forward for solo practices. So in the spirit of making this decision easier, here are three solutions that solo practices should consider. Two of them are free. Since its launch in 2013, Kareo’s free EMR platform has generated an estimated 5,000 practice signups. Though Kareo does charge for additional IT services, like practice management software, its user friendly EHR should suffice for the needs of most smaller providers. Kareo has received ONC-ACB certification for Meaningful Use Stage 1 & Stage 2, so solo practices could actually use this system to obtain substantial subsidies by qualifying for MU incentives. This platform has always won a few awards, with Black Book Rankings naming Kareo the top integrated Ambulatory EHR. 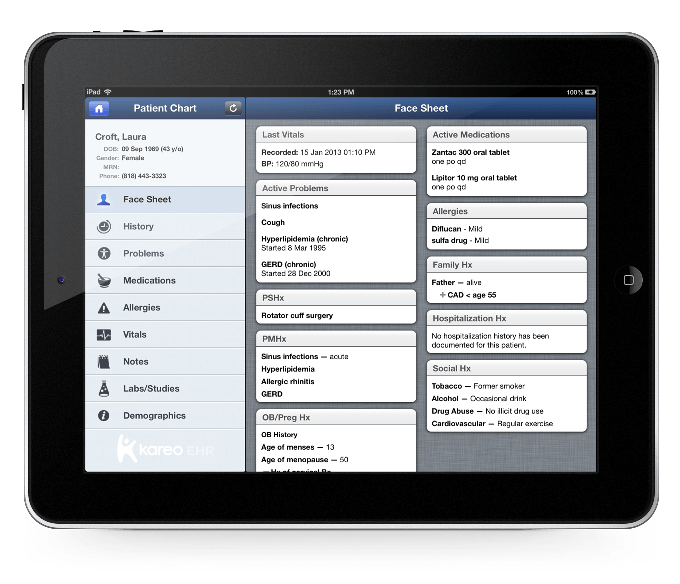 Kareo features an intuitive interface as well as iPad and iPhone functionality. The system’s templates are somewhat limited, though it’s difficult to please every specialty. Consider using Kareo’s ROI calculator to estimate the return you’ll reap from your investment. 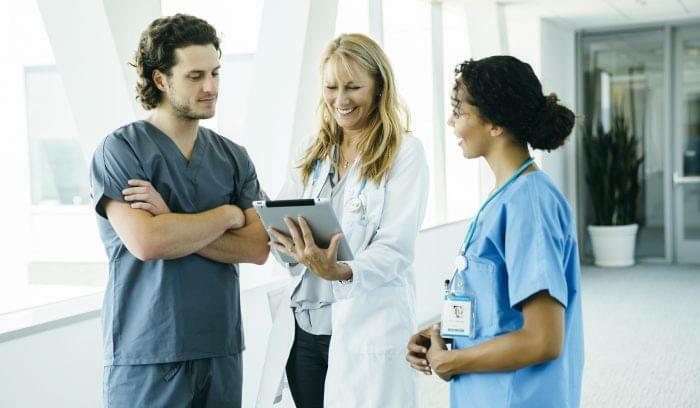 Undoubtedly the most successful of the new generation of cloud-based EHRs, Practice Fusion has experienced rapid growth since its launch in 2005. 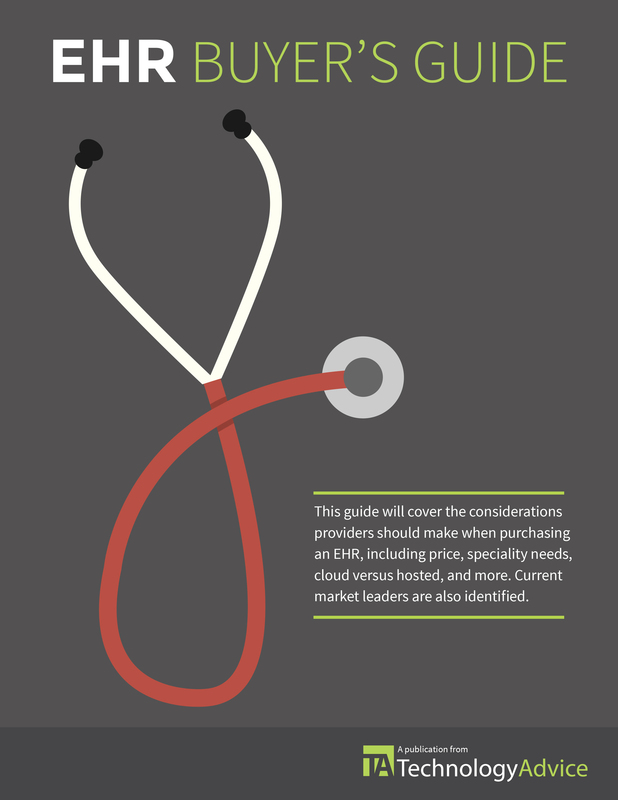 The system now sits comfortably in the top 10 vendors for EHR market share. 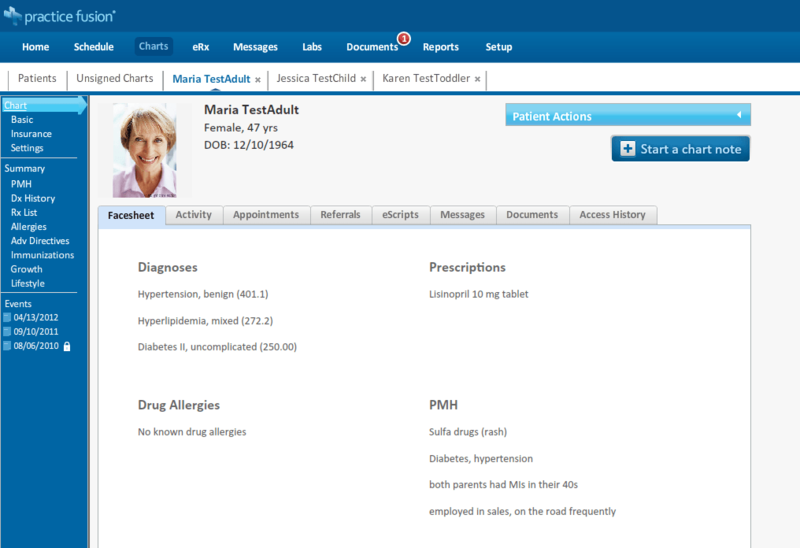 Practice Fusion also seems to be evolving into a general healthcare technology company, rather than just an EHR vendor. Since their EHR platform is free, Practice Fusion generates revenue by displaying advertisements inside the EHR software –not the pop-up kind, but more subtle banners. Due to the large number of users on the system, Practice Fusion is also expanding into data research with its new Insights tool, which could have a massive impact on care coordination and population health management in the future. 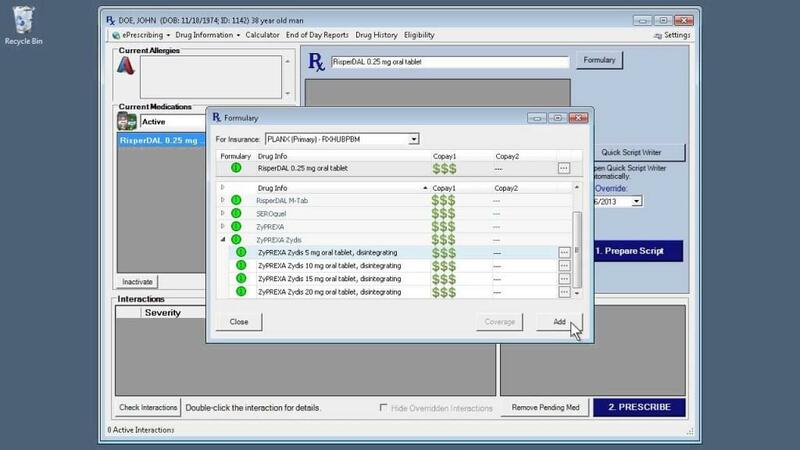 For solo practices, Practice Fusion offers an easy to use platform with a number of capabilities: e-prescribing, integration with lab orders, a patient portal, and a number of specialty templates. Practice Fusion has won some awards, too. Black Book Rankings has named it the top EHR four years in a row for primary care satisfaction. Amazing Charts may seem expensive when following two free solutions, but the $1200 price tag (without support) or the more expensive $2395 fee (with support) are relatively low compared to standard EHRs. Amazing Charts knows its customers, which means this company knows that providers want something simple and easy. The interface doesn’t have the slick design elements of the previous two options, but the ease with which information can be entered into the SOAP notes and other charts explains why Amazing Charts has taken home awards from Black Book Rankings and others for its usability. While Amazing Charts was originally available only as a locally hosted solution – the kind solo practices should probably avoid – the software can now be hosted remotely in the cloud for $39 per month per user. Like the other solutions on this list, Amazing Charts is Meaningful Use certified, and comes with a host of other features, though not enough to be overwhelming. Amazing Charts doesn’t offer an integrated practice management solution, but the software does integrate with a number of prominent third party options. Overall, the number of options for providers in smaller practices continues to grow. Even solo practices now have a number of products from which to choose. 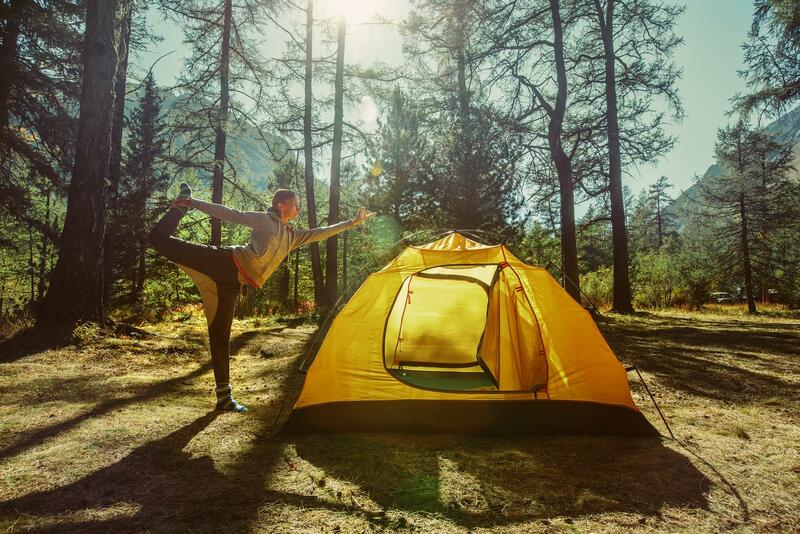 Based on upfront investment alone, a cloud-based option is the best choice for solo practices. For the other considerations – such as functionality, usability, and integration – any of the following three products will meet most provider’s needs. Think we left something out? Have a recommendation you’d like to share? Let us know in the comments below.